Tulip tree (Liriodedron tulipifera), also known as tulip poplar or tulip magnolia, is a native medicinal herb and old folk remedy of the Appalachians. In my experience, tulip tree bark is easily gathered from downed limbs after the first storms of spring. 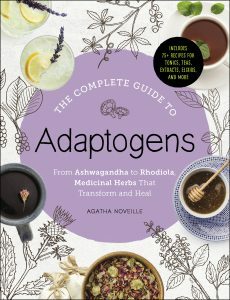 Read on to learn more about how this herb is gathered and my first experiences working with it! ​Mother’s Day Sunday was rather soggy here. But that didn’t stop me from wandering around the garden with my mom as she showed me all of her latest lovelies. I bought her a foam flower plant a few years ago for a problem shady spot she was trying to coax to life, and between that and her hostas and hellebores she has a magnificent little hideaway going now. On the sunny side of things, her butterfly weed, Stoke’s aster and passionflower are gorgeous, and the gardenias are covered in blooms this year. 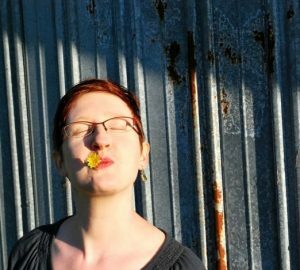 I love that so many of her favorite flowers are also traditional herbs. It just goes to show that practical and beautiful are two sides of the same coin. She knows I’ve been wanting some tulip tree branches, but the storms so far haven’t brought down any limbs. So, after our garden tour, she provided me with the long handled garden shears and pointed out where the trees in the back yard have some low-hanging branches that she wanted trimmed to open things up a bit. Tulip tree piqued my interest because I was always fascinated by the sweet, aromatic scent of the twigs when I was a child. It has a long traditional record of use as a native medicinal and in folk herbalism. In modern herbalism, it’s considered to be a valuable heart tonic and nervine. My herbal escapades are generally a source of interest and amusement in our family, and Sunday was no different. My brother appeared in short order, to inquire (and I quote) if I was “gnawing on the shrubberies again”. He gamely chewed on the twig I handed him, and agreed with me that it smells nice but tastes a little bitter. My dad came outside, just in time to observe my brother making faces. He declined my offer of a twig of his own. When I harvest barks, I generally choose a branch that is making contact with other branches. Crossed limbs can rub the bark away during high winds or the contact points can eventually create a breeding ground for infections or infestation. The way I look at it, if I’m going to be a pest and take a branch rather than wait for a windfall, the least I can do is select one that could potentially cause problems later on if left to its own devices. That’s generally good etiquette when you’re foraging: leave things in a better state than when you left them. The inner bark slides off very easily if you choose the right time of year. Spring is preferable, I think, but you can also harvest in the fall. The main thing is to harvest when the sap is either rising or falling, and then it’s just a matter of separating the rough outer bark from the inner. The outer bark is basically dead cells that protect the active inner bark (think skin on top of blood vessels in human terms) so I didn’t worry too much about stripping it all off. A veggie peeler works really well for this step. I shredded the bark a little more, and snipped it into shorter pieces with kitchen shears. 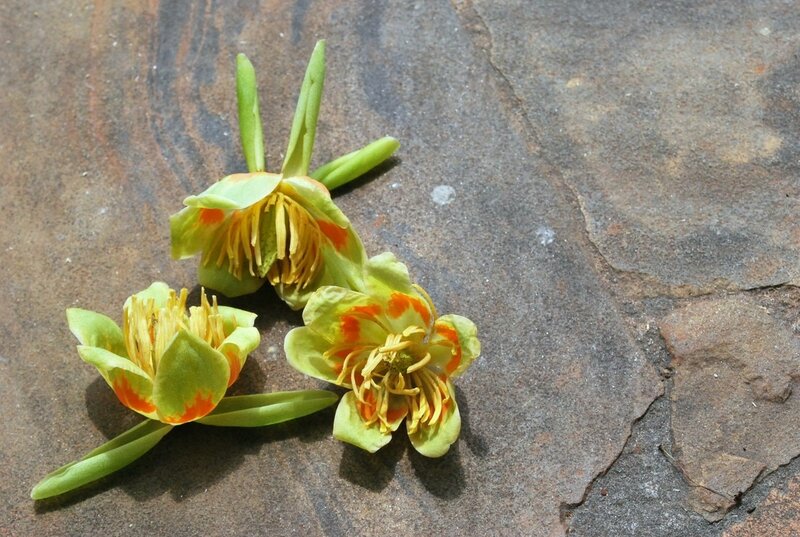 The eclectics used either alcohol or cold water preparations of Liriodendron– they believed hot water preparations destroyed the useful constituents of the herb. I decided to make an alcohol extract because that will store for a longer period of time than a cold water infusion. Next, the bark bits went into a jar with some vodka. I didn’t realize I was almost out of vodka, but I had enough to cover the bark. Perfect for a simple folk extract. Tulip poplar is found in mixed woodlands throughout the Eastern United States. It prefers rich, well drained soil on a slope, but I’ve also seen it growing in heavy clay- our trees don’t seem to mind. The overall impression for tulip poplar is usually a very tall, very straight tree. Sometimes the tree splits into two main trunks, but more often than not it stays as one trunk until tapering into branches. Branches are usually long and slightly drooping. The bark is light grey and deeply veined and fissured vertically. In my experience it’s normal to find ants running up and down the tree collecting the sap. 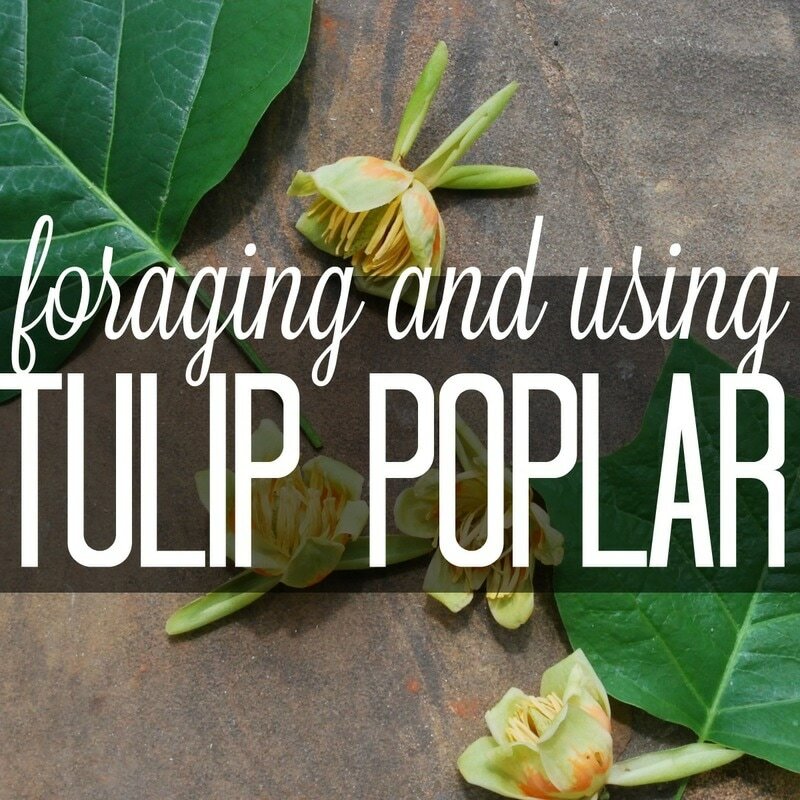 The leaves and flowers of tulip poplar are very distinctive. Leaves look a bit like a cat’s face if you use your imagination. Two points for the ears, and two points for the cat’s cheeks/whiskers. When we were children, we would find especially big ones and cut holes in them to use them as masks when we were prowling around the woods. In the fall the leaves turn bright yellow. The flowers are cup shaped and green or yellow on the tips with orange at the base. The coloring reminds me of a flame. They do look a lot like garden tulips, hence the name, and usually bloom from April to June. The petals fall off to expose a sort of cone (it looks like a cross between a cucumber and a flower) inside the flower which becomes the seed pod. The seeds are long and thin with a little petal or “wing” attached. The “cone” eventually separates as the seeds become dry and woody. The seed pods will disperse as the seeds drop, but they also sometimes fall as a whole pod. Look for freshly downed limbs in early spring when the bark is easy to “slip” If you must cut a limb, make sure your cut benefits the tree and cut close to the trunk to prevent rot and infection. Don’t harvest the bark from the main trunk. That opens the tree to infection and interrupts the tree’s vascular flow. Taking bark from the trunk can cut off the circulation and kill the tree. 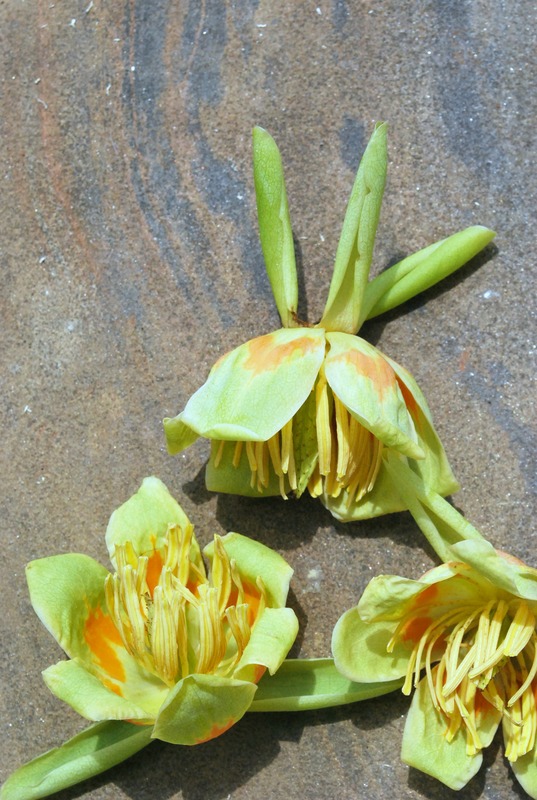 Tulip poplar has a low germination rate from seed. Leave young saplings to grow. 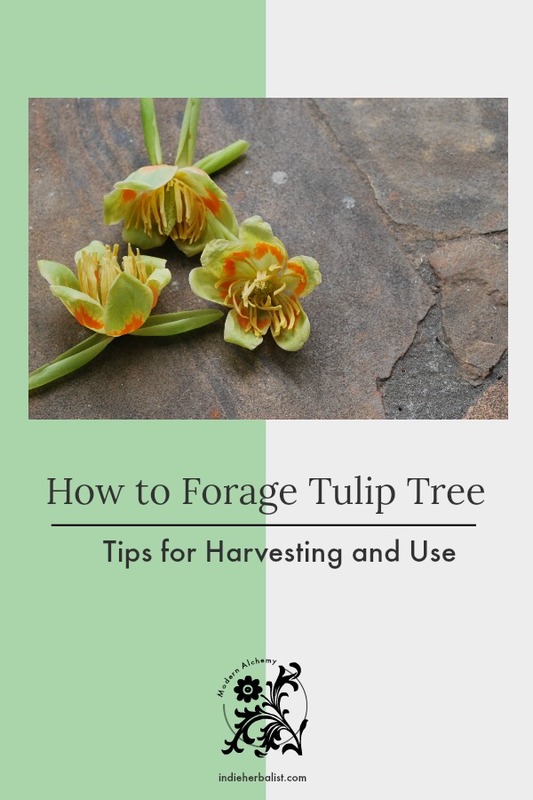 Tulip poplar will regenerate from the stump, so if one needs to be logged as part of a forest management strategy on your property, you could potentially maintain the stump as a coppice. If you are interested in learning to forage or wildcraft, The Herbal Academy has an excellent course to help you learn the skills and mindset of an herbalist and forager! Learn more and enroll over on the Botany and Wildcrafting Course page. Your sharing sidebar makes this blog impossible to read.